DALLAS, TX – September 14, 2016 – ZVOX Audio, the company that pioneered the sound bar and SoundBase® home theater concepts, will debut its highly anticipated AccuVoice TV Speaker at CEDIA 2016. 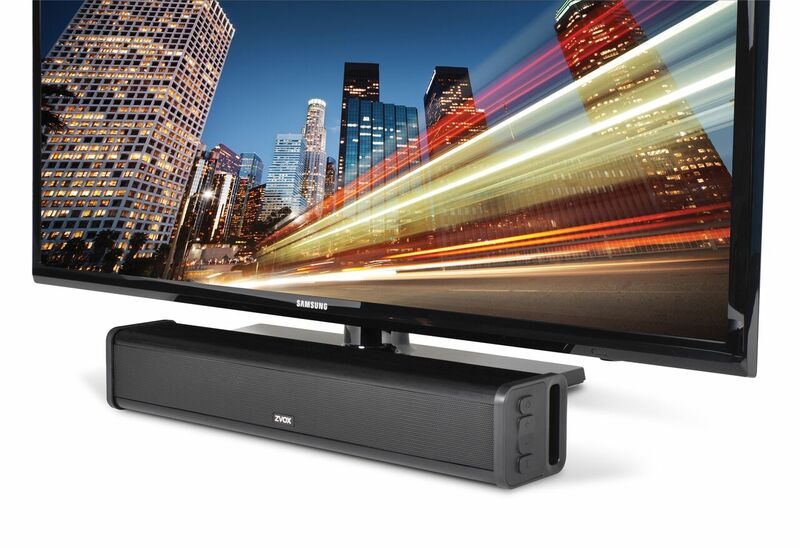 The company will be demonstrating the new speaker, along with its popular new Sound Bar line in Booth # 5109. 95 million Americans are over the age of 50. And they are the first generation to grow up listening to LOUD rock music – so many suffer from minor hearing impairment. Combine those rock-impaired ears with the puny sound systems built into flat screen TVs and you get an epidemic of people who are constantly asking “What did he say?” while watching TV shows. Millions of people simply can’t understand dialogue on many shows. The new AccuVoice TV Speaker from ZVOX is the best, smartest solution for this problem. Only 17” wide, it uses a computer processor that mimics the functionality of a hearing aid. It applies an advanced compression/equalization algorithm that lifts voices out of background sounds to create the clearest dialogue reproduction ever. This proprietary (patent-pending) technology is activated only when voices are detected in a soundtrack. The AccuVoice TV speaker is enclosed in an elegant aluminum cabinet and uses three high performance full-range speaker drivers to create realistic, room-filling sound. 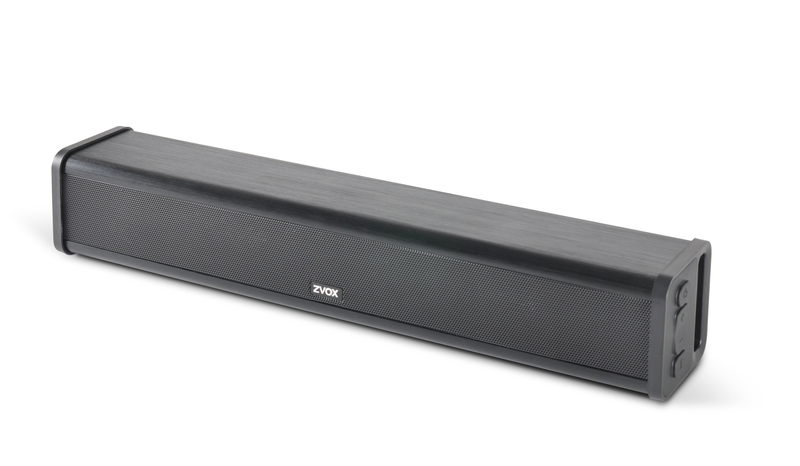 ZVOX’s proprietary PhaseCue virtual surround system produces three-dimensional sound from a speaker that’s half the size of a loaf of French bread. The AccuVoice TV Speaker will be available at selected retail and online stores (including bestbuy.com, amazon.com and crutchfield.com) and direct from the zvoxaudio.com web site. Shipping this month. AccuVoice AV200 TV Speaker. Extruded aluminum cabinet is 17”w x 2.9”h x 3.1”d. Three full-range long-excursion speakers. Two inputs: optical digital and analog/optical 3.5mm. Can learn to respond to TV/cable remote controls. $249.99. For more information go to the detail page.